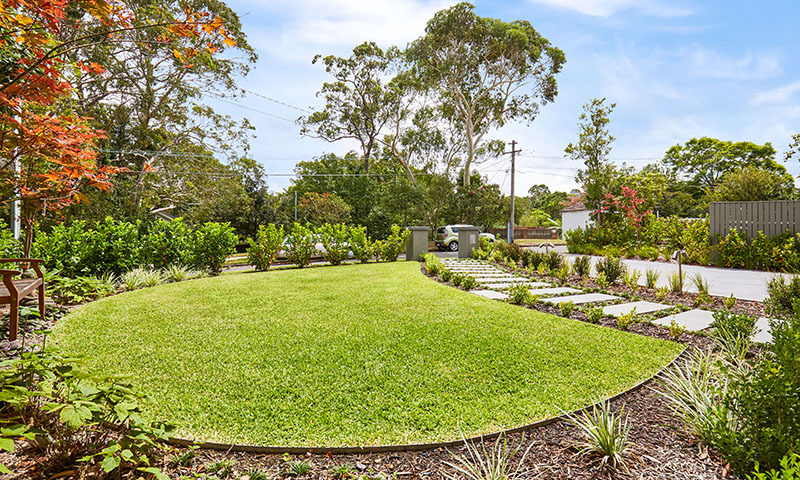 Most landscape projects have an element of soft – scaping in them (planting, turfing, soil works etc) and this cost of installing this and the ongoing up keep can be expensive. Installing an automated irrigation system could work as an insurance policy for your landscape and save you countless hours of manual watering. There are plenty out available out there, you should look at what best suits your landscape and your plants. Some can also be fitted to deliver fertilizer and weed-prevention products to a lawn. With the right system installed, garden maintenance may not even require you to lift a finger… much. You should only irrigate your turf and plants when they need it. The ideal time is in the early hours of the day. At this time, wind is minimal, and that way you reduce water losses. Also, irrigating at this time gives water a better chance to infiltrate into the soil before it is lost to evaporation. Avoid overwatering your beds. Plants vary in their tolerance to soggy soils, but waterlogging is bound to bring problems. Unfortunately, you cannot prevent excessive rainfall. All you can do in this case is maximize drainage and hope for drier weather. Before you invest in an irrigation system for your property – look at our list of pros and cons of installing an irrigation system and decide if this method is right for you.